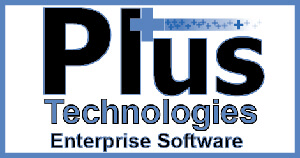 Plus Technologies‘ documentation includes technical guides and user manuals. Our team is constantly looking for ways to improve our products and skills. When a product is updated or a new version is released the manual associated with the product also needs to be updated. Recently we have implemented some updates and changes to our manuals. Listed below are some updates/changes that are implemented. Presently, at Plus Technologies we write all the code for our print software products. Specifically, this includes our print spooler software, pull-print software, print statistics and analytics software, print fleet management software, and print routing software. Additionally, we co-locate software technical support (printing service support) and software engineering to ensure and tightest escalation process possible. Customer calls are taken directly by service technicians so customers do not have to go through an automated phone tree. Therefore, our customers get immediate support from qualified technicians. Moreover, support technicians create an incident for each support call taken and follow a rigorous management and escalation process. This ensures each issue is resolved as quickly as possible.